- New high quality stem from innovative French brand Hashtagg. 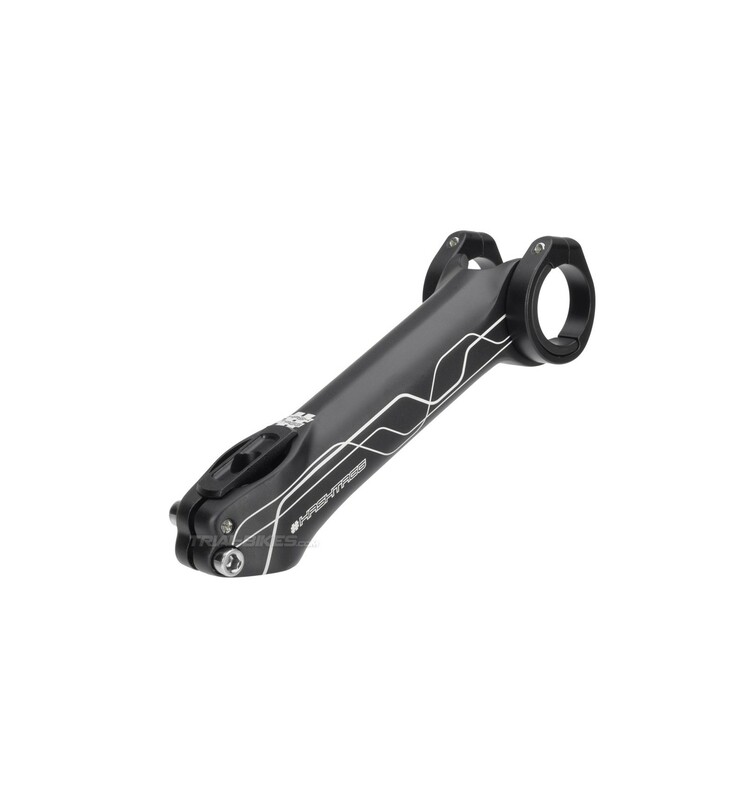 - The main update consists on a new, original geometry, 152mm long and 27º angle, which provides great advantages for most riding styles. 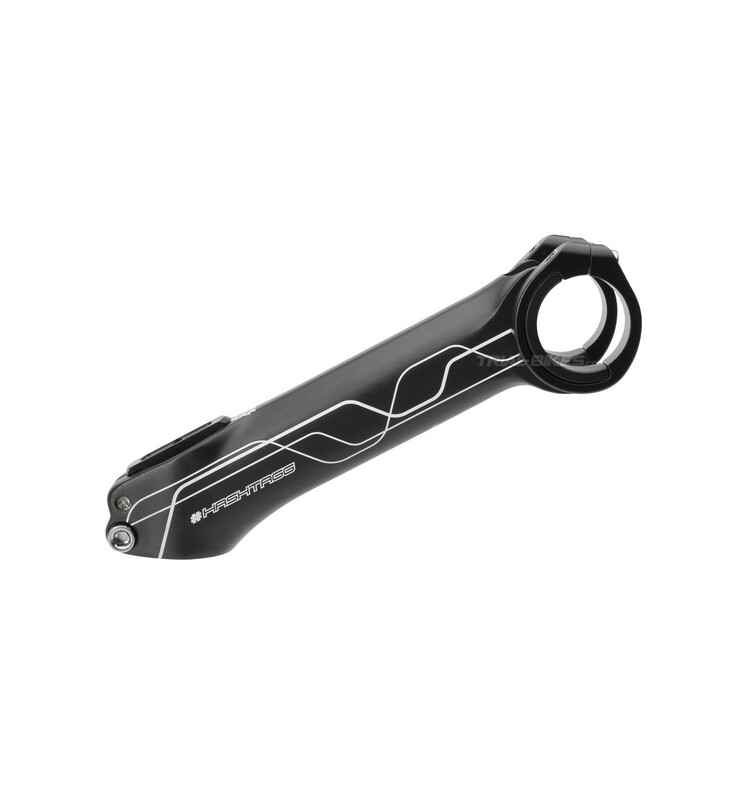 - Since it’s longer and has a smaller angle than traditional 150x30º stems, it allows easier forward body movement, both if you ride with the handlebars all the way to the front or in an intermediate position. - Features two removable clamps that ease handlebar set-up, no matter what its geometry is. Each bar clamp fits around your bars and then clamps around a tab on the stem body. 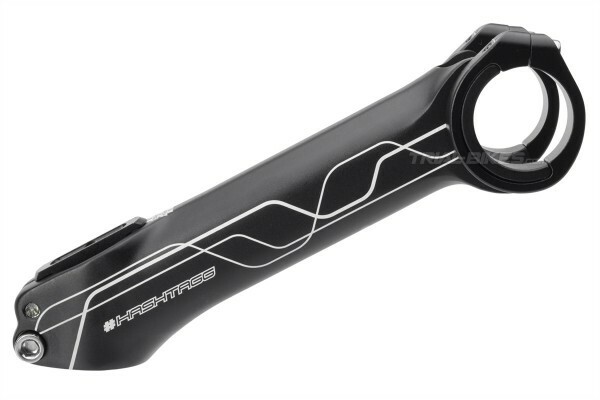 - High quality 3D forged from 6061-T6 aluminium alloy, without welds to save weight and increase its strength. 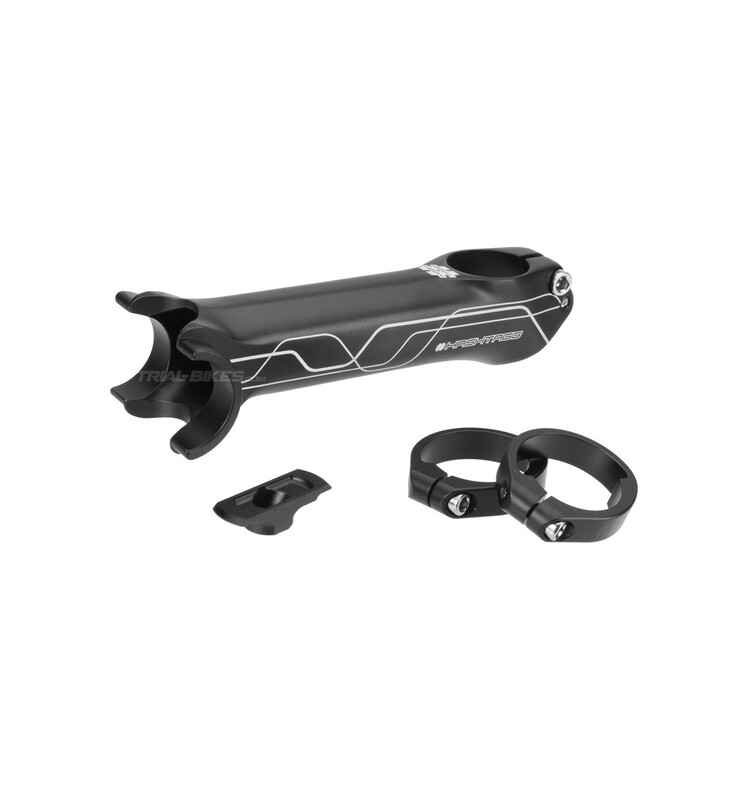 - Sloping steerer clamp gives more clearance (45mm tall) and is great to avoid knee impacts. 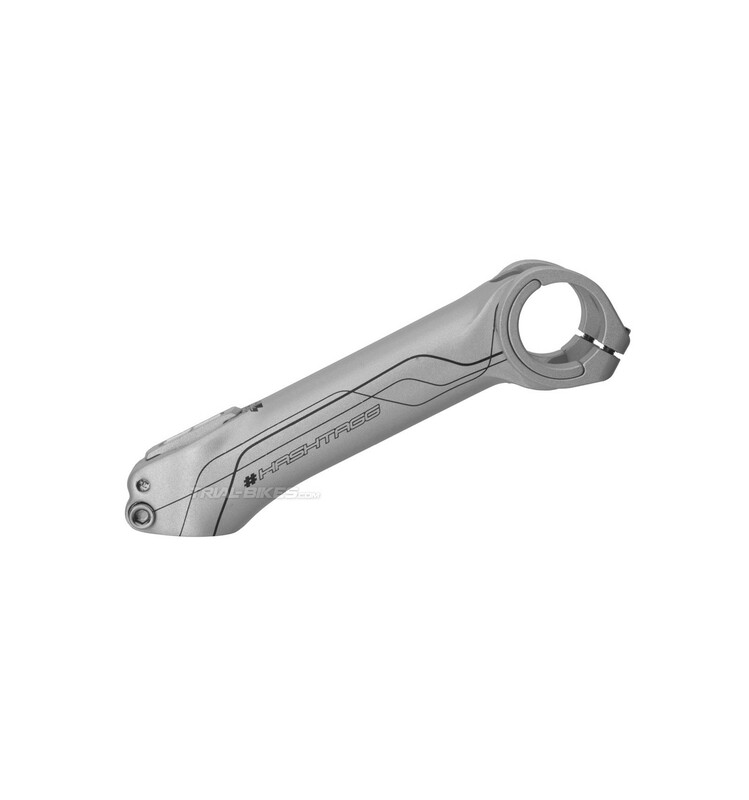 - Compatible with all Oversized handlebars (Ø 31.8mm). 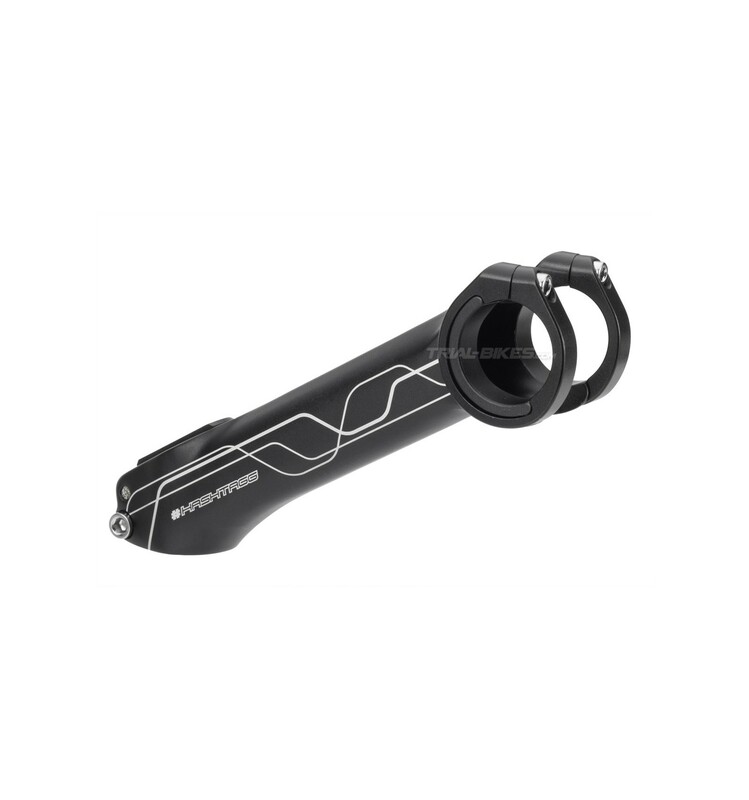 - Supplied with an ultra-light CNC top cap, which is only compatible with this stem. - Available in matt black or silver finish, with silver/black laser etched Hashtagg graphics. - Available in matt black or silver finish, with silver/ black laser etched Hashtagg graphics.